David took Olivia to the Avila Farmers' Market tonight -- their favorite spot for Daddy/Daughter date nights and I took the two hours to clean, clean and clean. I am in full-on nesting mode these days. I can't get the house clean enough and I absolutely, positively cannot get rid of enough stuff to satisfy my "cravings." It is amazing how much stuff we have amassed in the last few years. I found two tubs full of extra wedding supplies - did I really need to keep 150 glass votive holders? So, my friend craigslist and I have become best buds over the last week or so. I don't remember going through this phase as much when I was pregnant with Olivia so maybe I am getting a double dose of it now. I love it though - it feels so good to declutter and dejunk! Of course, now that good ol' Craig is putting some cash in my pocket, I'm feeling the urge to spend. UGH - what is wrong with me? 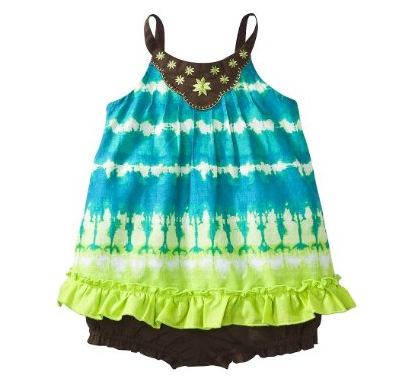 But, seriously, the new Calypso line at Target has some of the cutest little girls stuff in it. All I'm picturing are my two girls wearing matching/coordinating outfits. I know that this line is going to be as popular as the Liberty of London stuff. 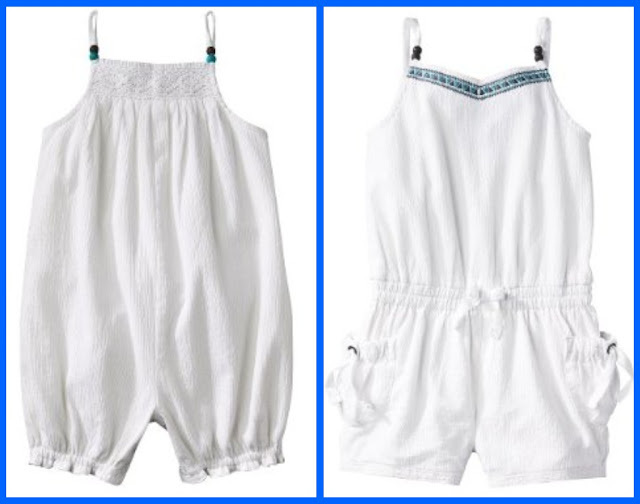 Infant romper on the left and toddler romper on the right. LOVE. I am definitely getting these two. 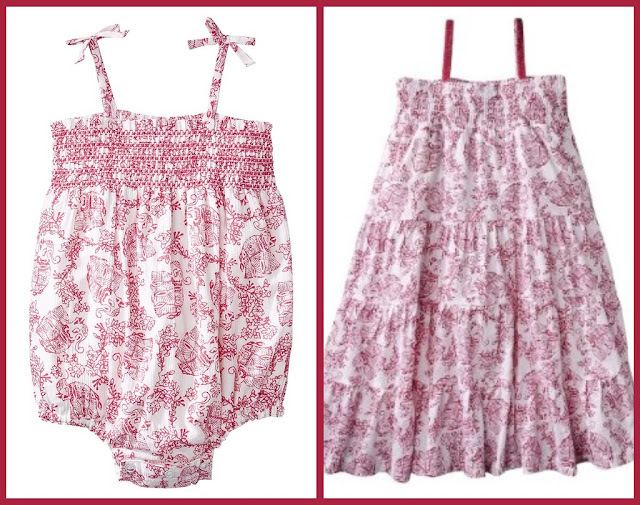 I can't get enough of little rompers and this print is just adorable. ... on a beach somewhere tropical. Who wants to go with us? And, speaking of nesting, I've already gotten the bedding for Little Sister. 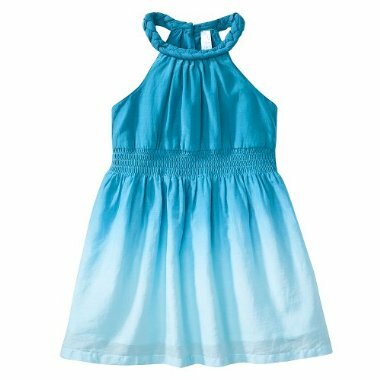 After buying a bunch of stuff for the playroom last summer from Pottery Barn Kids, we had a nice little rewards gift certificate just waiting to be used. Fortunately, they allowed me to not only use it after I realized it had expired, but they also let me wait 6 weeks after that realization so I could order gender-specific bedding. So grateful for that ... and so I splurged a little. I could have easily used the bedding that I used for Olivia, but I really wanted each of the girls to have their own bedding that they could keep when they were older. 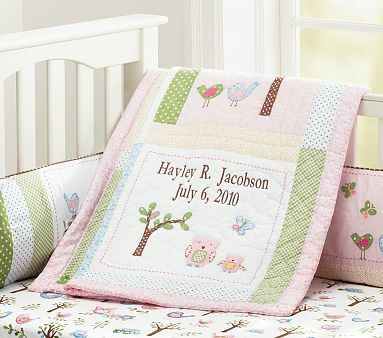 I got the Hayley bumper and quilt and the little owls are just adorable. 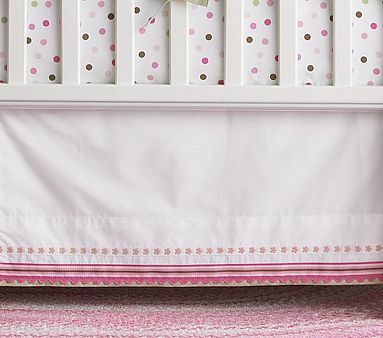 I wasn't a fan of the crib skirt, so I ended up taking a chance with a different one. Turns out, it looks fabulous with it. I love the idea that they girls may someday share a room and love the owls and butterflies of this bedding. With the rewards money, I also got a butterfly mobile and have actually registered for another one so that each of the girls can have one. And, I got some cute butterfly wall decals. Our life is going to be full of pink for the next several years and I couldn't be more thrilled! David is such a good Daddy for taking Olivia for date nights. I'm sure she loves every minute of it too. I really do like the bedding you chose for the new little one. And yes, she and Olivia will both be "stylin" together in the years to come. "So each of them can have one..." Haha! Welcome to the world of buying two of everything to avoid fights and/or jealousy (and yes, they must be identical, even the same color or they'll fight over who gets what color). :) Love the bedding you picked out, super cute! Love the outfits and the bedding! It will be great having sisters in the house! David will just have to get used to pink!